This means that if you leave at the mid-end of the month, you are still liable for those days when we send the billing email at the end of that month.  1) When you join Laka, we do not charge you an upfront premium. This is because we only charge at the end of the month based on the claims that happen in that respective month. 2) This means that due to you having active cover for X amount of days (if not all), you will still need to pay your share for that month. We won&apos;t charge you for the full month, only those days that your cover was active. The date is 15th July and you have this awesome 3 month trip coming up (lucky you). You decide that you don&apos;t want Laka for those 3 months, and you cancel your policy. On the 31st July you receive a billing email from us, saying that you owe us £5. This is because the billing email that you receive at the end of July is the cost for the month of July (remember we bill you based on the true cost of claims). As you were with us for those 15 days in July, you are still liable for those days that you did have Laka.